Satisfying Retirement: Work Burnout: Am I Done Yet? Work Burnout. A while ago ago a reader asked me to address the issue of feeling that work has become a real chore and how that affects the decision to retire. To retire just because you have had a rough stretch at work or you have a strong urge to chuck it all is usually not wise. Launching a satisfying retirement takes planning and is a process that should begin well before you accept your last paycheck. At the same time, staying employed after your mental and physical well being begin to suffer is not wise either. I found several excellent web sites that might help you take a fresh look at your situation to determine if your problem requires action. Caring about your work or seems like a total waste of energy. The majority of your day is spent on tasks you find either dull or overwhelming. At stress.about.com I found a burnout quiz. Answer the twenty questions and the results are summarized to help you determine if you are at risk for at work burnout. Scientific? No. Something I'd use to decide whether to retire or not? No. Helpful to look at your situation? Yes. Just by answering the questions you have the chance to think through your condition. At the site, Business Insider, you will find a basic description of the 12 stages of burnout. Taken from an article in Scientific American, this strikes me as a good starting point to assess your situation. 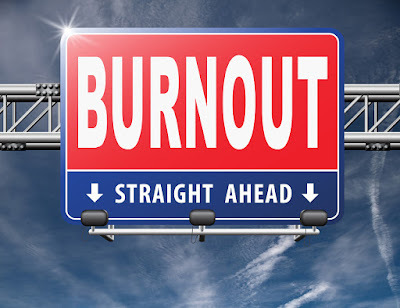 The site continues with overviews on what causes job burnout, who is most at risk, the consequences of ignoring the problem, and importantly, how to handle it. From personal experience I can say that I did suffer from many of the symptoms of job burnout a few years before I retired. My radio consulting business was in serious decline for a few important reasons: I had stopped trying to learn anything new in my field and was content to just offer the same solutions to client problems that had worked for the previous 15 years. I simply wasn't motivated to put in the effort to "grow" my knowledge, and that meant a slow death for the company. Secondly, I was sick of the travel, being away from home all the time, and knowing my marriage and family life were suffering. I saw no reasonable way to continue doing my job while protecting my relationships. So, my wife and I decided it would be best to close the business and take an early retirement. It is important to note that this decision was not made hastily. For the better part of a year I struggled with the financial aspects of retiring at least 7-9 years before I thought I should. Betty and I discussed all the pros and cons of my retirement and what affect it had on her work, too. My personal identity was tightly wrapped with the business. I had no hobbies or passions waiting for me. But, the decision was one of the most important I have ever made. I was on the road to ruin and needed to get off before i crashed my life and my marriage. Work burnout is real and powerful. Just be sure you have thought everything through. A satisfying retirement does not follow automatically. I am so glad I found your blog. I am retiring in 2 weeks about 10 years before I had planned, but my husband is older than I and right on track. If I have to go back to work someday, so be it. I would rather have this time to spend with him and worry about that later. Thanks for your wonderful post. Thank you and welcome! There are over 8 years of older posts available to help you on this transition. I retired about 8 years earlier than I thought I would. That was 18 years ago! * [most]Every day is a bad day. * Caring about your work or seems like a total waste of energy. * You’re exhausted all the time. * The majority of your day is spent on tasks you find dull. * You feel like nothing you do makes a difference or is appreciated. The company had been outsourcing vigorously and my department was a shell of it's former self. By the end I was pretty much the "last man standing" trying to provide services to a demanding customer base with few resources. It's not a good note to end a career on but I had been planning retirement and when it just became too much I left. There may have been a severance package in it for me a year or two down the line but there comes a point when the money just isn't worth it. Actually, I overshot my target retirement date by almost 2 years but that was just me being nervous about actually walking away from my job and retiring which is a different topic altogether. In any case retiring when I did was the best decision I ever made. You ticked off all the appropriate boxes, so it was time to leave all that in your rear view mirror. Even with a possible severance package left on the table, your mental well being demanded a change. I tripped and hit my head at work Friday, fracturing my toe, and managing to get a head injury and two black eyes. I realized I really do not wish to retire yet, but I still wish to retire in about three and a half years if all goes well. Did the fall help you realize you don't want to retire yet? Maybe after you have recovered from those injuries you will give the whole subject another review. Just be careful so you start retirement in good shape. Bob, I also suffered from a number of these symptoms. Retirement first seriously appeared on my radar about 5 years before I was officially eligible. I sort of kept that date in mind as a possibility as work was not really as enjoyable as it had been, but I was willing to play it by ear and see how things unfolded. About two years before the magic date things took a turn for the worse. Those last two years became the most stressful of my 32 years in the profession. I found myself looking at the clock at 10 am and counting the hours until I could go home. I wasn't sleeping well and developed itchy patches on my skin that I attribute to stress. I could barely open my email or check my phone for fear of discovering that another crisis had developed overnight. I was very fortunate to be able to escape when I did, and that possibility of escape was sometimes what kept me going. I have to admit that there were times when I wondered if I was being a wimp and jumping ship when I should have been digging in and continuing to fight the good fight. But I know from being in touch with my work friends that things are not all that much better in the time (1 year tomorrow!) I have been gone, so I am now confident that I made the right move at the right time and got out with my health and sanity. Those stress problems are gone now! Based on your description, remaining probably wouldn't have "continued the good fight" but just made you more unhappy and unwell. Over the last few decades too many businesses have made it clear that loyalty is no longer a two way street. Non-employees like stockholders, board members, and consultants are all about the bottom line. Employees are simply chess pieces to move at will. Self-preservation must become a consideration. I am not sure I ever suffered from burnout, or at least the kind of burnout that seriously hampers people mentally and physically. I just effected an "I don't give a sh-t" attitude, and did as little as I possibly could. There were many reasons for this, primarily the fact that the company I worked for showed how little they valued their salespeople on a daily basis. I basically took the money and ran for a few years until saying adios. This is what the last company I worked for had reduced one of the top performers in the industry for decades to, in their quest to pay 100s of $M to their top execs, who have been driving a once great company in the ground for years now. You echo the comment I made above. Short term planning, bottom line maximization, strategies to reward executive and stockholders...I am so glad I left the business world behind when I did. Like you I felt/pursued the “American Dream” of college to get a better job, better car, larger house, nicer vacation, etcetcetc. None of it made me happier. It mostly took me away from those I loved the most and kept me with a short temper. I had a great career for 40 years. Or so I thought. 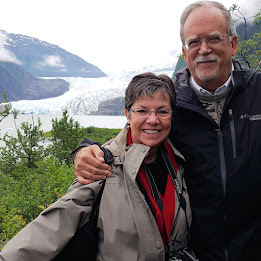 What I did have was a career for 40 years and a home life that was held together by my brilliant choice of spouse. How I got her I do not know. But Lordy do I love her. And she still loves me. What did I ever do right to deserve her. Anyhow, one of our favorite places to spend a week or so many times a year is the Florida Gulf of Mexico coast. A 60 mile stretch from Panacea to Mexico Beach. It is “old Florida” where the developers have not discovered its beauty. 2 lane highways, clapboard houses, cinder block motels etcetcetc. It is here that I discovered that you don’t need a lot of money to be happy. I missed that class in college. If you have a roof over your head, a car that runs, clean T-shirts and shorts, a job that pays something, decent schools, library and hospitals, you don’t need much more. If you are hungry all you need is a fishing line and a hook and you can get dinner. Nobody has a lot, yet everyone had something. Everyone helps everyone. Many are poor but no one is starving or begging in the street. It is living on the bottom rung yet everyone is happy. Many of these citizens are college educated but decided to completely downsize their lives. Lawyers have teeny practices, teachers teach, doctors do not drive Porsches but have 3 day office hours. They read, fish, help the community on the off days. I could/ should have lived this lifestyle. My wife loves to go there because she says she can “breathe “. She can blissfully read in the sun on the shore, walk the white sand beaches for miles, purchase a filleted fish for dinner at 3:30 that was swimming in the ocean at 2:30. And for not much money.I am not complaining. But, I wish I hadn’t tried to grasp for the “brass ring” for my short time n this planet. Your insightful comment covers some important points very well. For some people they do feel the need to compete at the highest level. They measure success in a particular way. Others are not given the opportunity to make that kind of choice or deliberately choose to swim upstream. Neither choice is right or wrong, just different. You, like me, discovered a little late in the game we prefer something closer to the second option. Now, in retirement, we have the chance to make up for lost time: embrace what makes us happiest and resist the siren call of constant consumerism. Job burnout was why I retired a few years ago although I didn't recognize it as burnout until a year after I retired. It was time to take the leap of faith and I have absolutely no regrets. It was never going to get better. After about a year of recovering from this job, I realized how exhausted I was from the daily grind. I had no awareness of that while I was working. That is often the case. Using the cliche, we are too close to the forest to see the trees. Only when we step away do we see the damage that we were doing to ourselves. Now, almost three years later, I am happier, waaaay less stressed, and realizing I didn't need a lot of what I was striving for. Or what I was eating/drinking/consuming to stay afloat in that crazy work world. And I have time for things that really do enhance my life, like volunteering, travel and just hanging out doing what I enjoy. So glad I got out when I did. You story is a common one but not all end as well as yours. People stay locked to the job through either fear of the unknown or a misplaced sense of loyalty to other employees. The result are a whole list of emotional and physical ills. I don't envy younger generations who are faced with a working world focused on the bottom line at all costs, or the acceptance of the disposal employee. I am glad you are enjoying your life and hope others who may be wavering take heart in your tale. I've followed your posts for a few years now Bob and both your posts and comments such as those above are VERY encouraging! I'm a federal employee and retired military senior enlisted NCO who is right at 2 years away from retirement. I've grown tired of being among the whipping boys for presidents and congress to blame for all government debt and can't wait to be a retired government employee. I'm very realistic about my income and my wife (who has been retired from a non-profit for a number of years) know what we need and what we spend about as well as anyone can. My government job is all about number crunching and budget formulation so I think I'm in good shape with stepping off when the time comes. Now, if I could pull it off, I'd retire tomorrow. My job has become just that a J.O.B. and nothing more. Sure, I still get everything done that I need to but I must force myself to accomplish each and every task. 18 years of doing the very same thing with the very same problems, the very same suggestions to fix the problems and the very same people ignoring said suggestions and I'm most definitely burned out. Just need to hold out on the job (and my sanity) a bit longer. Doing a job that provides little in the way of satisfaction or gratification can be draining. Being in the number crunching business is certainly a plus, though, when it comes to knowing the importance of budgets! I wish you a speedy two years until you can leave the J.O.B. behind and live a satisfying retirement. I'm happy these posts and the comments provide you some comfort. Early in my academic career, I loved my job and thought I’d never retire. I thought I would become one of those part-time elderly professors doing research and writing books, and still teaching a couple of courses per semester. But in the final job in my career, I experienced burnout. I did the burnout tests, and was exhibiting the symptoms. I had committed to five years in an administration role, and I found myself desperately counting down to the end of the term — “only two years, three months, and eleven days until I’m done.” On any given day, I could have told you exactly how many years, months, and days were left. It was crazy. I was making myself sick with stress, and I knew it. But I couldn’t let go of all that I had worked so hard to achieve. I felt honour-bound to complete my term, at least. Eventually, I did manage to convince myself to step down from my administrative role a year early, and then, about half a year later, I decided to retire altogether. It was a good decision. I love being retired. Looking back now, it is hard to understand why it was such a struggle to decide to retire. As people tried to tell me, there is more to life than work. But I couldn’t grasp that back then. The part of being an academic that I found hardest to relinquish was doing research/writing. I have to credit my wise husband Rob and one of my good friends for pointing out that I could still continue to write and do research even after retiring. They were both right. I still am doing research, publishing, and presenting papers at conferences. I am not getting paid for it anymore. I am just doing it because I enjoy it and it is part of who I am. Ideally, burnout should not have to be the reason one chooses to retire. But it is a terrible idea to push yourself to continue working year after year if you are burned out. It is better to retire if you can, or to take a leave, or change your career path. Burnout can be lethal. Your story is a good cautionary tale of delaying a decision that is obvious (once you make it!). Those of us who identified with our careers had so much wrapped up in that world that we had a hard time imagining what else life holds. Burnout is a killer. As you note, Jude, there is so much we can do that matches our loves and passions after work. If you love writing and research keep doing it!